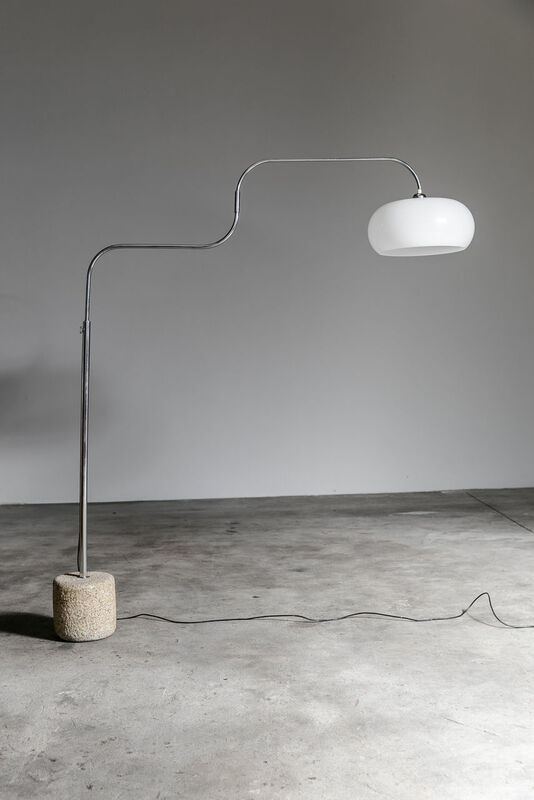 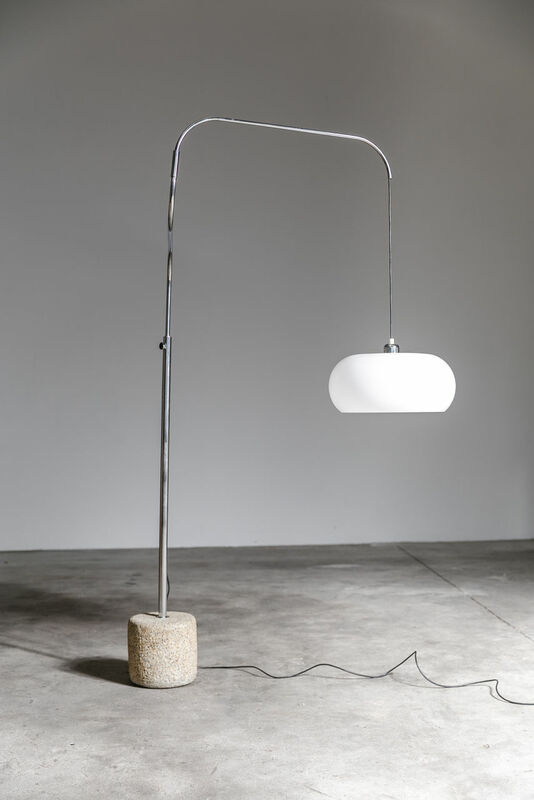 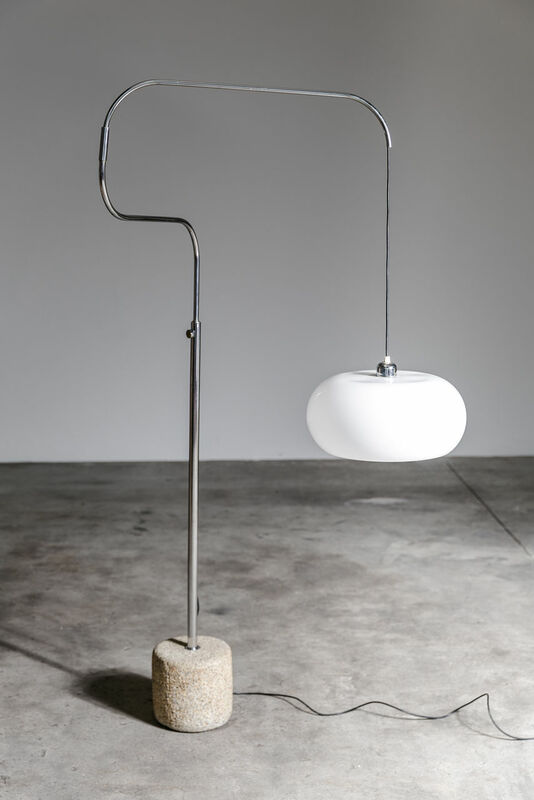 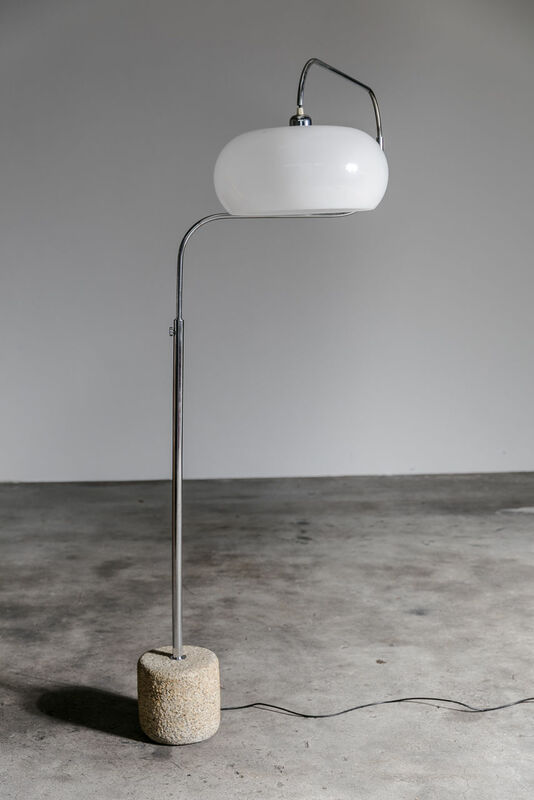 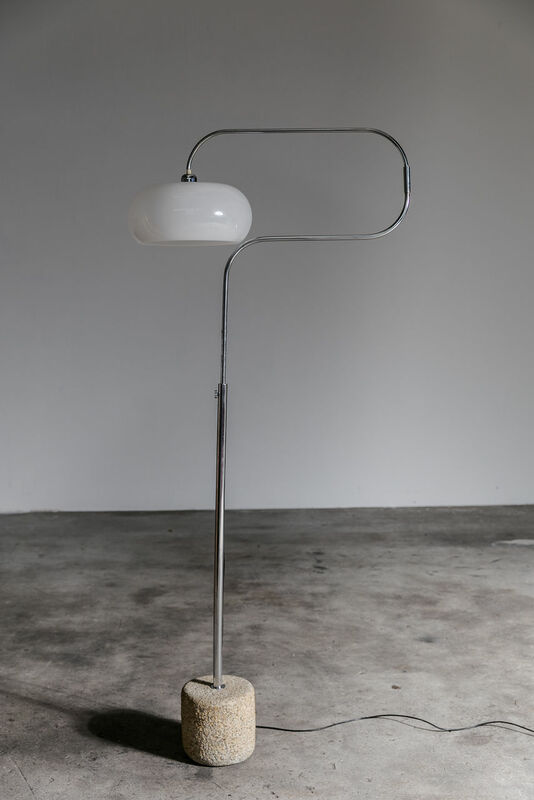 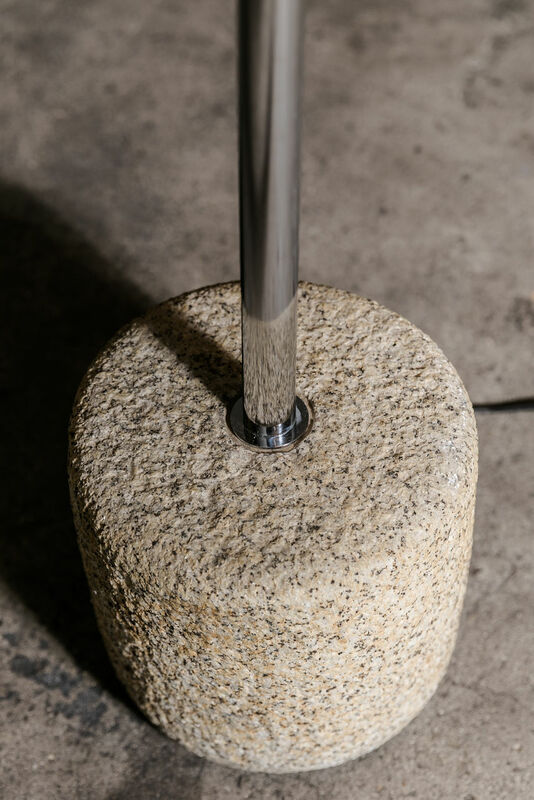 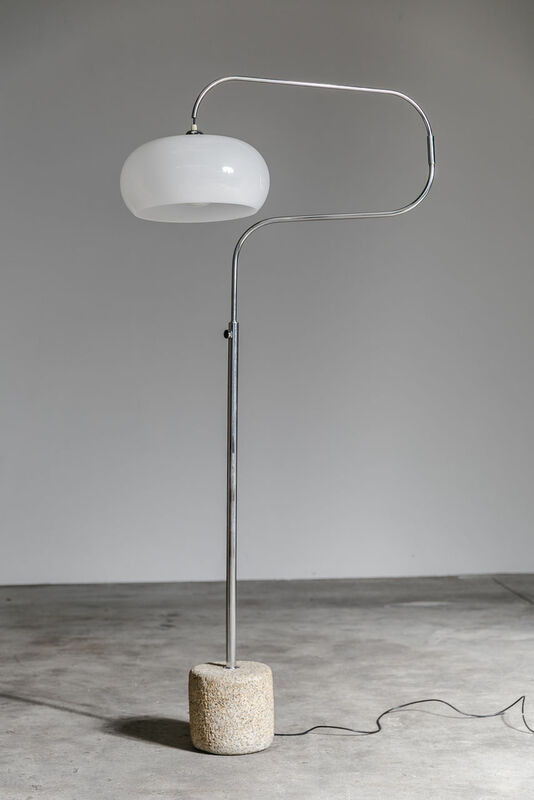 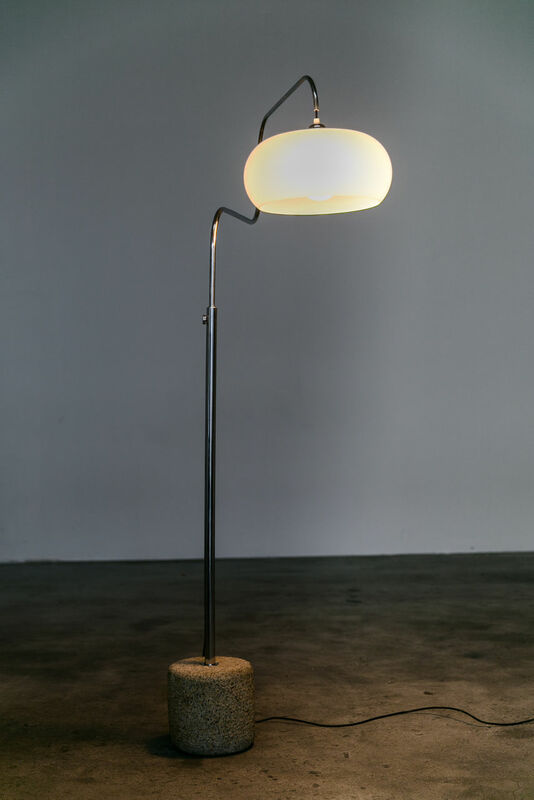 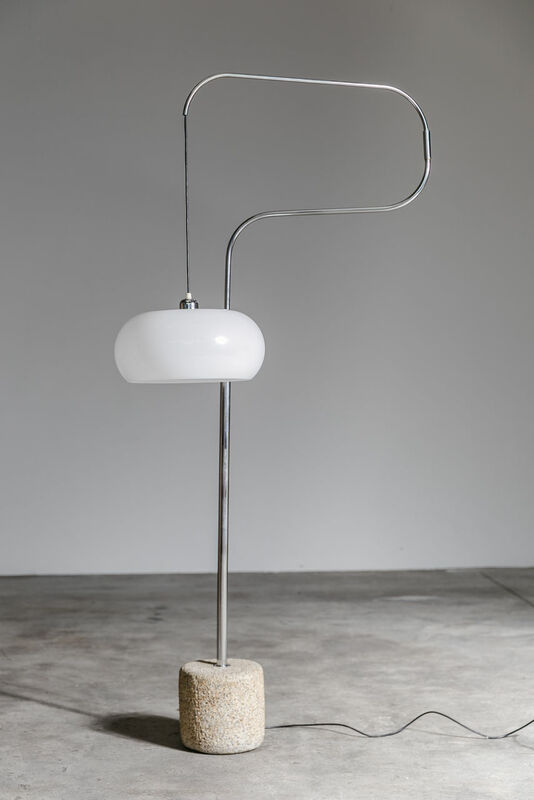 Italian Modernist Floor lamp | Castorina & Co.
Vintage Italian floor lamp with base made from granulated stone. 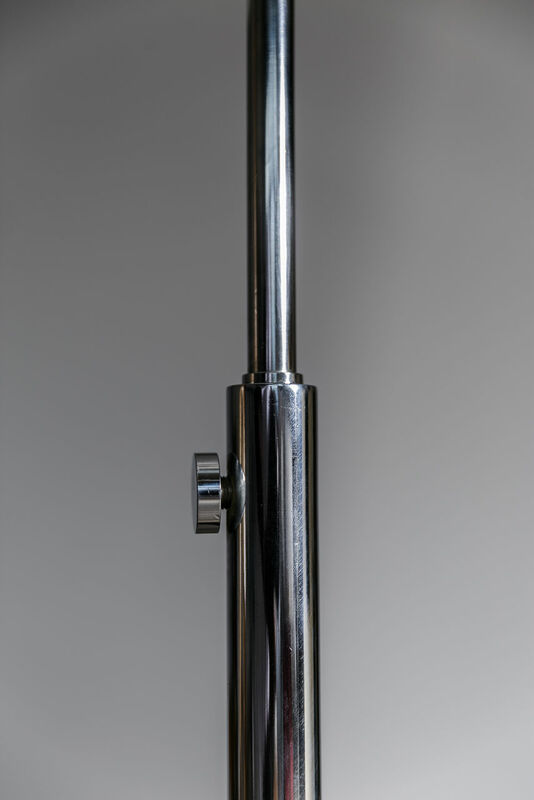 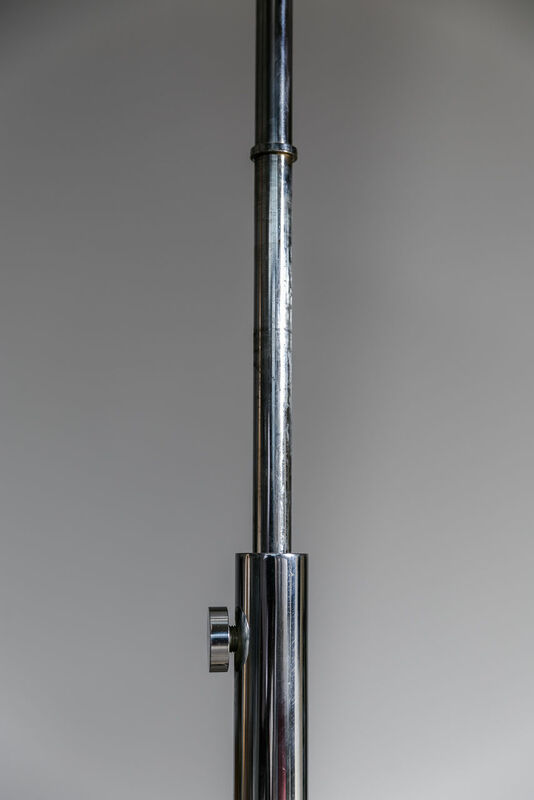 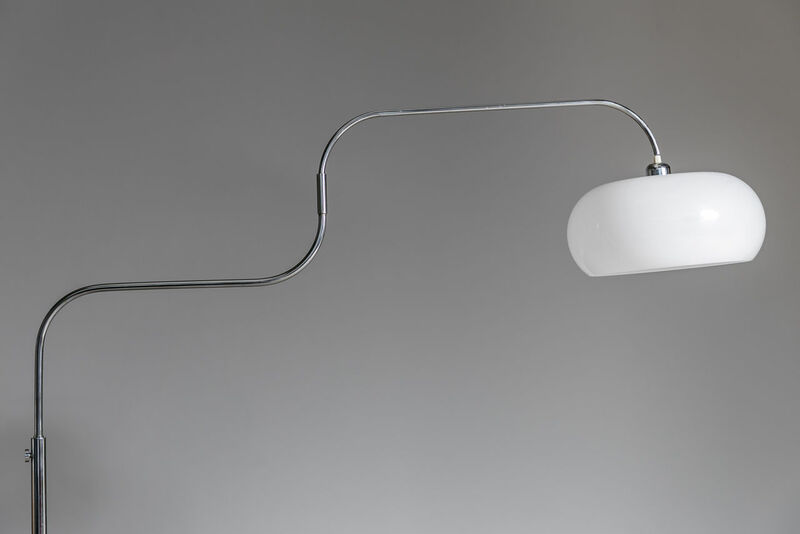 The chrome plated arm can be adjusted in several positions . 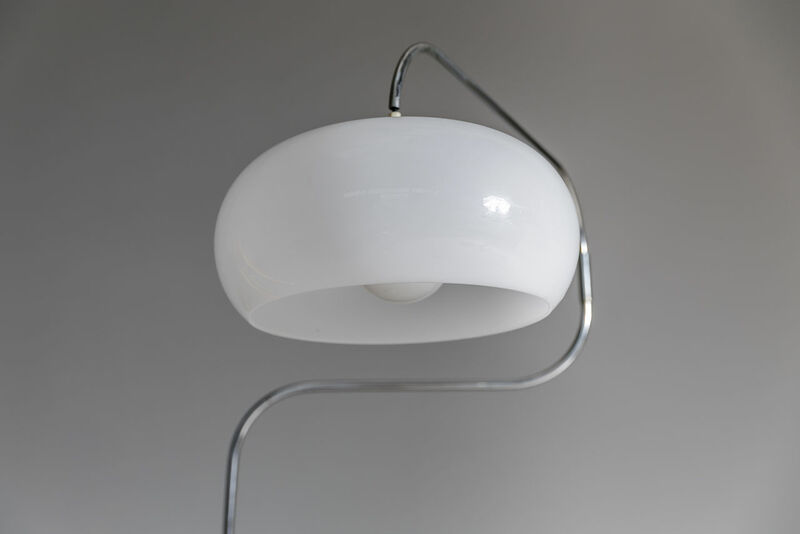 The cord of the lamp can also be adjusted so that the plastic shade can be lowered. 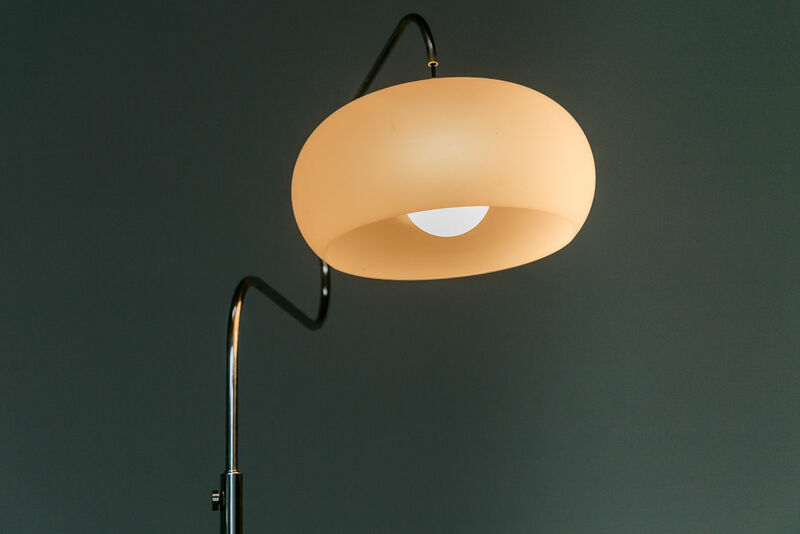 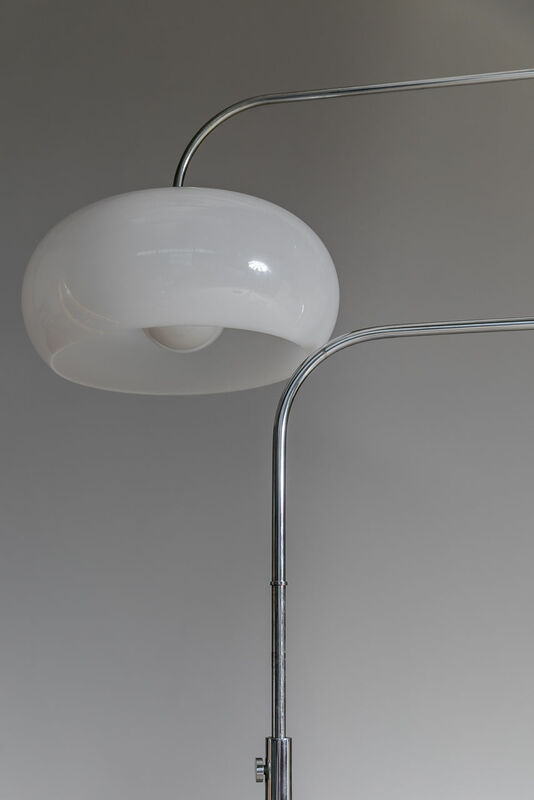 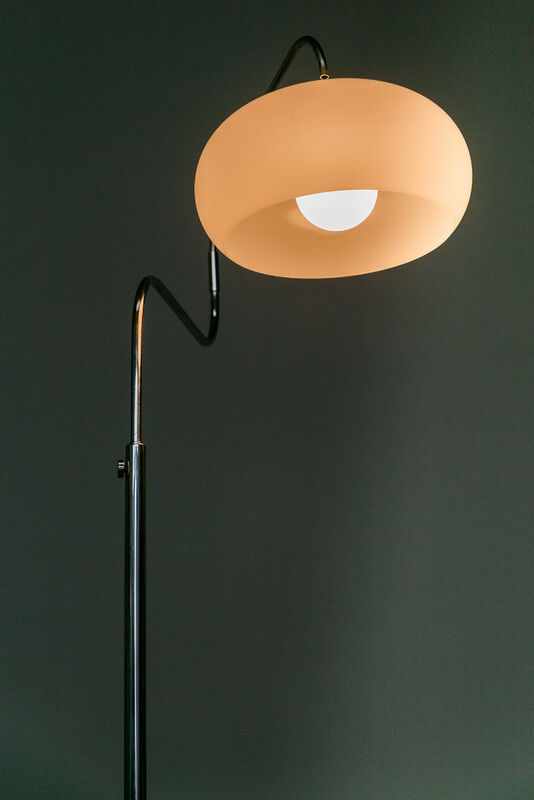 Very interesting and rare Italian lamp produced in the early 70's.